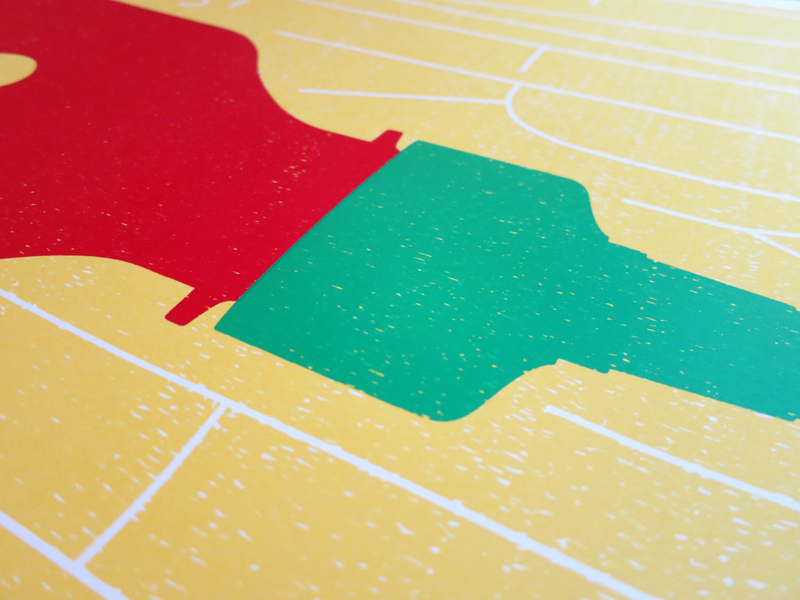 The beloved condiment of foodies everywhere, this Sriracha print will really spice up a room. 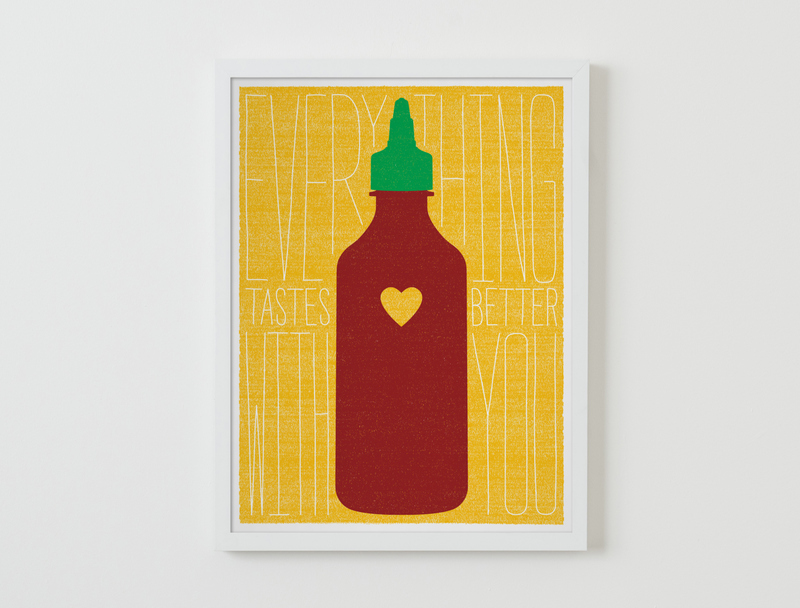 Featuring text that reads "Everything Tastes Better With You" this lovingly hand-pulled 18" x 24" 3-color screen print is printed on 100 lb. white stock.